3) Both the seat and back have matching buttons on the upholstery. Florence sofa's classy design looks great with any decor, with its clever mix of smooth and quilted upholstery. 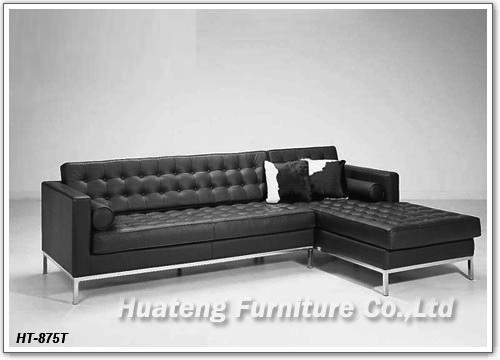 The frame and cushions are made of top-grain leather with a base constructed with stainless steel. Sturdy and stunning, the Florence Sofa has a style that works for any room.